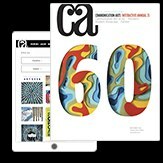 This book recalls the wise words of the great Jan Tschichold: “The greatest benefit from looking at good work will always be gained by those who study its finest details and subtleties. This is the only way to teach oneself typographic design.” Type Matters!, with its clean, open layout of sample texts in various settings and typefaces accompanied by succinct and sometimes mirthful red captions, leads readers through the essentials of basic typography. 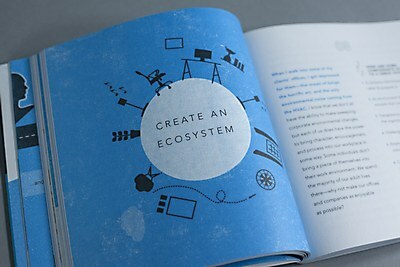 The pages are printed on a soft white uncoated, heavy text stock, with warm red dividing pages and red and black text. The rounded corners, soft Moleskine-style cover (complete with elastic page holder and two bookmarking ribbons) and 6 ´ 8 inch format recalls a classic journal style that becomes a favored keepsake through the years. 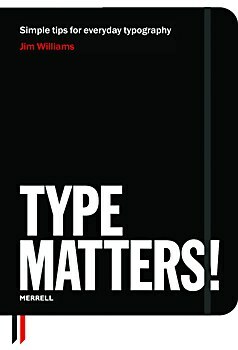 Indeed, the front end sheet features a bold setting of “This Book Belongs to” with a large red manicule pointing to where the reader should sign, encouraging, in a small way, ownership of the love for the printed word found within. 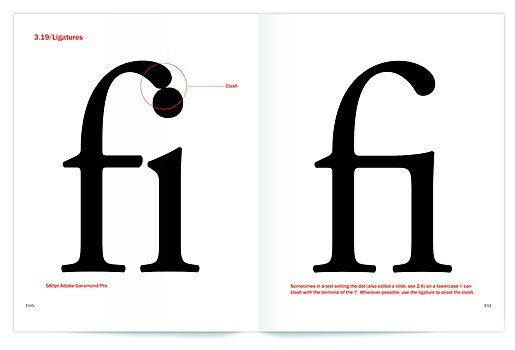 Type classification and anatomy, appropriate typeface selection (“clothes for language”), letterspacing, kerning, leading, measure, rags, ligatures, widows and orphans, ink traps and rivers—all the most important details of fine typography are beautifully presented. 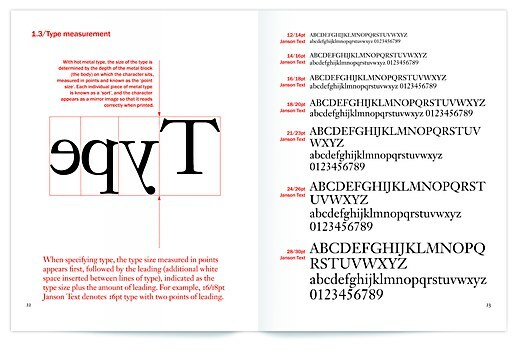 The book came about after Williams, a part-time instructor at Staffordshire University, was asked to present a series of talks on day-to-day typography to a design company in Manchester, England. Finding that the tips were also helpful to his students, he was encouraged to publish them for a wider audience. A stand-out in the design-your-life genre for its generosity and warmth. 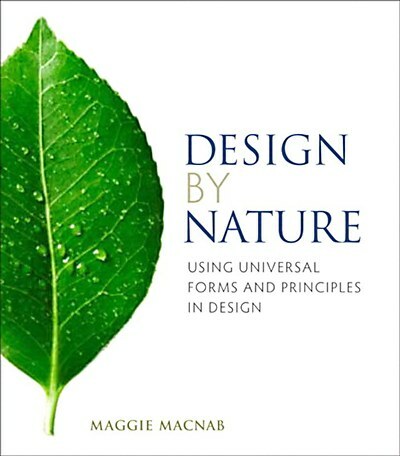 A timely and timeless opus on the aesthetics of nature as it relates to the world of design. A graphic tour of illustrator Yuko Shimizu's work in full flower.